Home For4 Sweet Home: Happy Halloween! 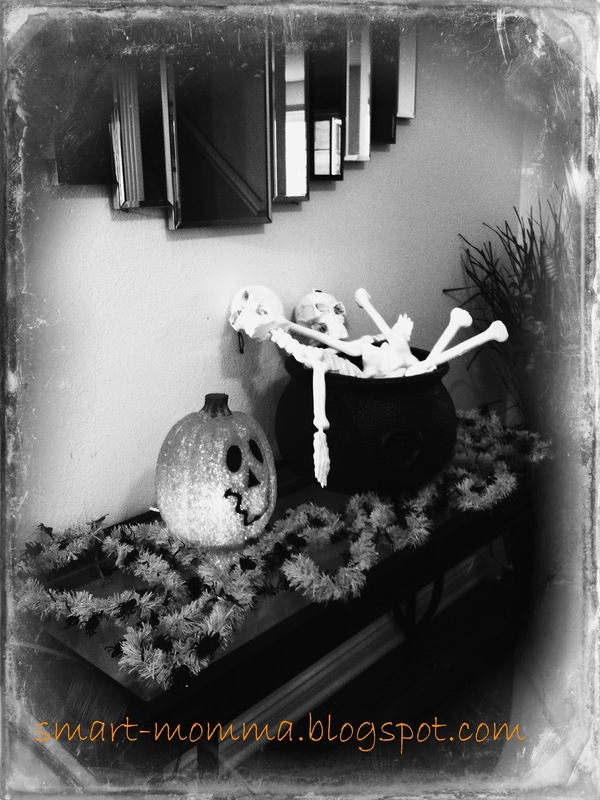 Had the time to finally set the entry way console table to Halloween theme. I just used old decors that we already have, simple and easy! When my daughter first saw the skeletons, she got scared! lol! Have a good weekend everyone!! You're all ready for Halloween. I love your spooky display. thanks for dropping by brandi! What a fun and festive table. How funny that your daughter was scared of the skeletons. I am glad she overcame her fear because your display is just too cute to take down! thanks for always dropping by amy! you're awesome! Are You Ready for Fall? Scarves! !